Quelqu’un que je ne suis plus va racconter une histoire. 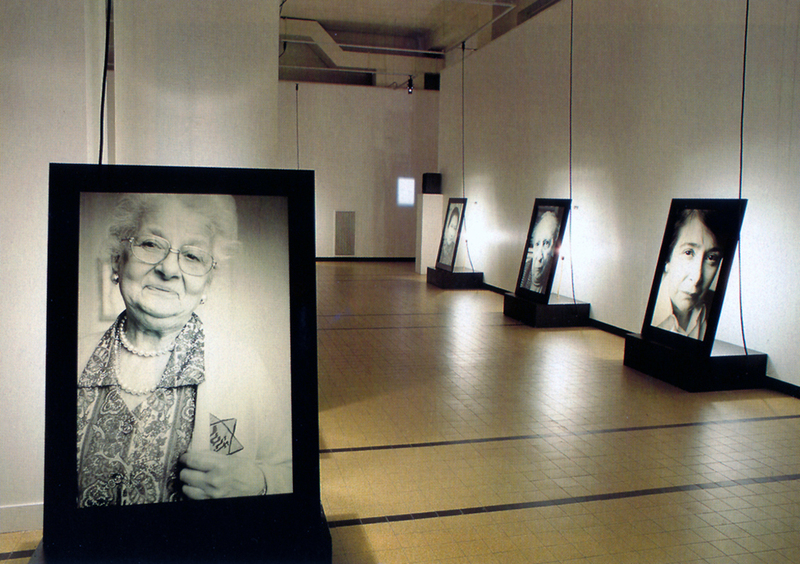 The photographic installation Visages (Faces) is a work about the power of memory. It is a contemporary meditation on personal experience, individual responsibility and collective memory of the Holocaust. 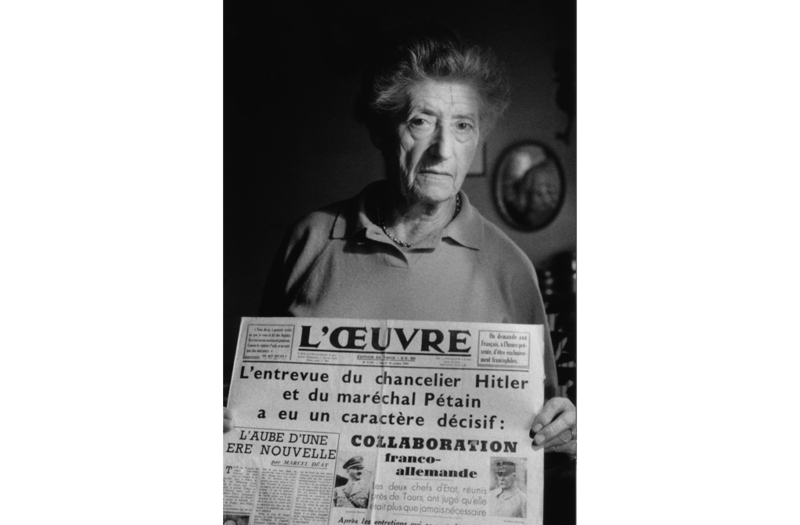 The project began as a personal journey and an enquiry into a specific time and place: 20th century France and Europe around the period of World War II and Hitler’s Nazi Germany, French Collaboration and Resistance, the Holocaust and its aftermath in France. 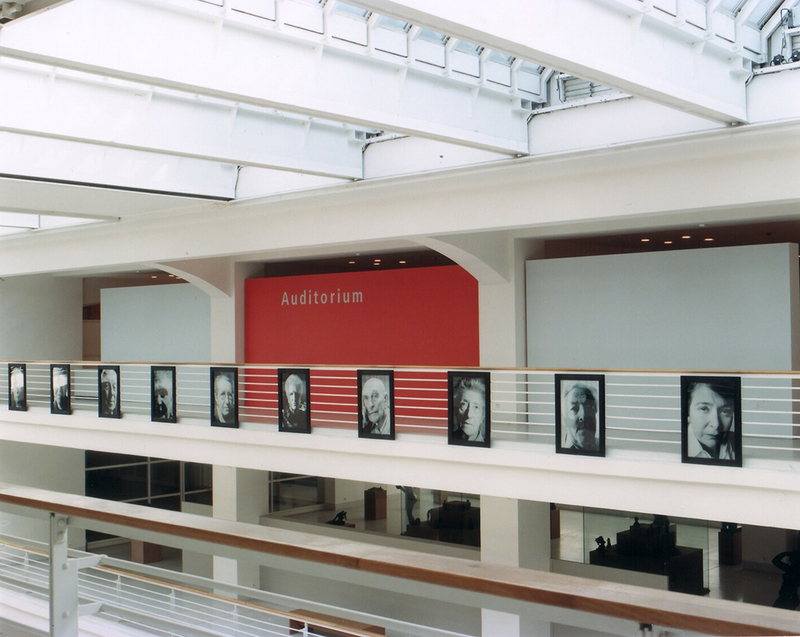 The photographs can be shown in different ways: hung from the ceiling in a dark gallery or clustered in a floor installation, and back–lit by incadescent light bulbs; wall–hung and front–lit; hung in front of a light translucent surface (window) and back–lit with natural daylight. Faces are considered as maps of the human journey. 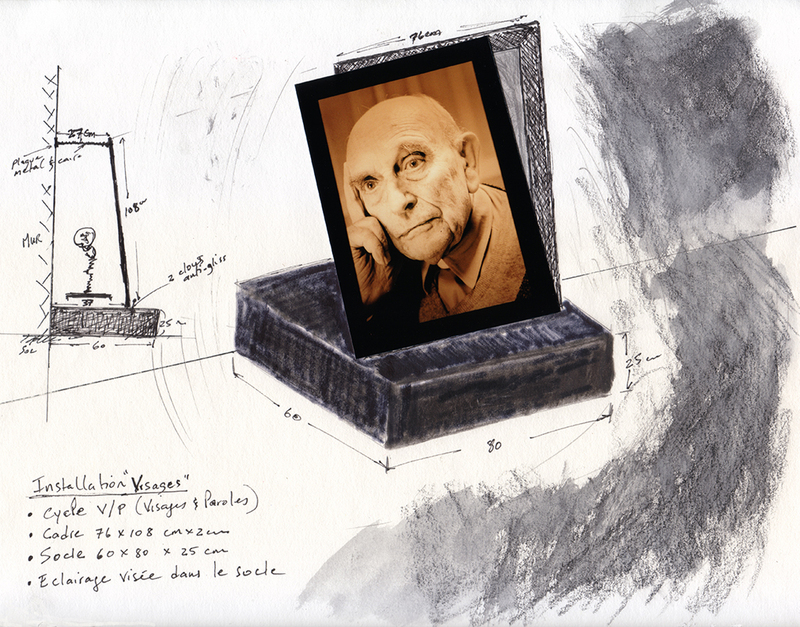 Visages is about humanity confronting time and memory. 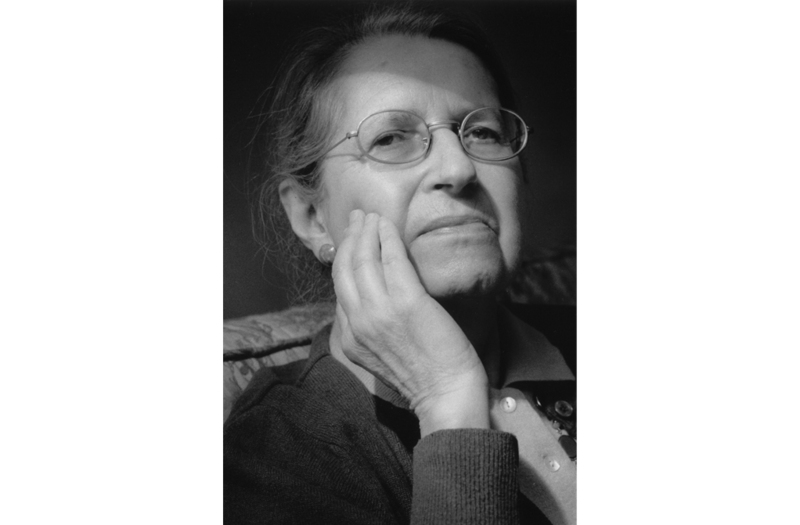 Photographs of faces fill the frame, like landscapes etched with light, time and experience, evoking a space between proximity and distance, past and present, memory and forgetting. Monumental faces stare out at visitors, immediately engage the viewer to return eye contact and find out more. Faces of humanity that resemble us and our families, this kaleidoscope of portraits is representative of people in any society: a mélange of rich and poor, famous and unknown. 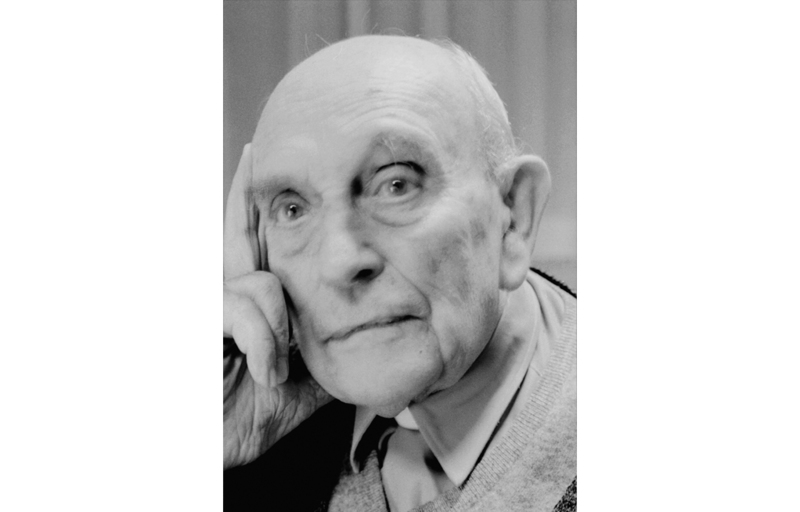 Luminaries include Genevieve de Gaulle (niece of Charles de Gaulle), Guy de Rothschild (chief of the Rothschild Bank), and Simone Veil (president of the European Parliament). Their common thread is their role as witnesses, victims and resistors of the events before, during and after the Holocaust in France and Europe. 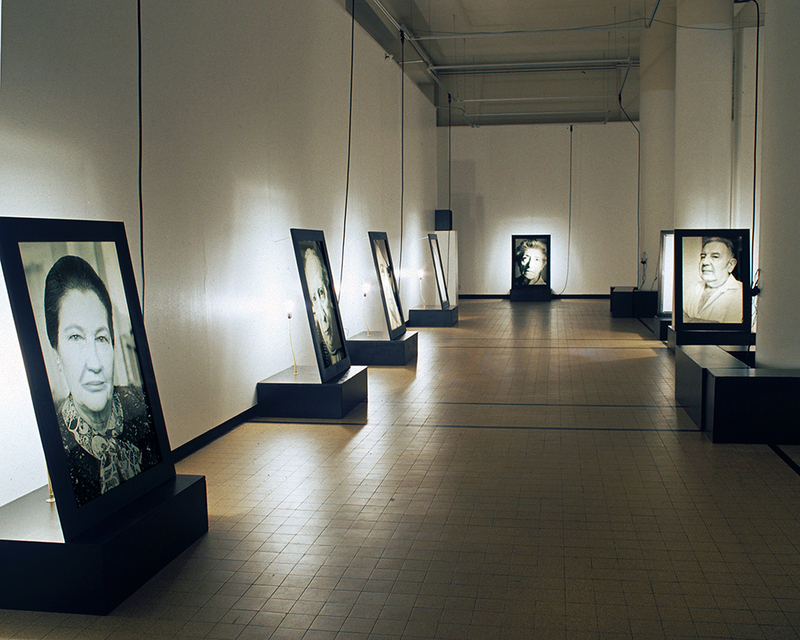 Accompanying the portraits are first–person fragments of the persons’ memories of that time. Dramatic recitations of each witness story are recorded by young actors. Speaking in the first–person present, they project the contemporary urgency and drama of each experience. They can be heard through headphones placed in the exhibition space, and/or through a speaker system surrounding the space. The stories can also be presented in the form of short texts which can be read by visitors. 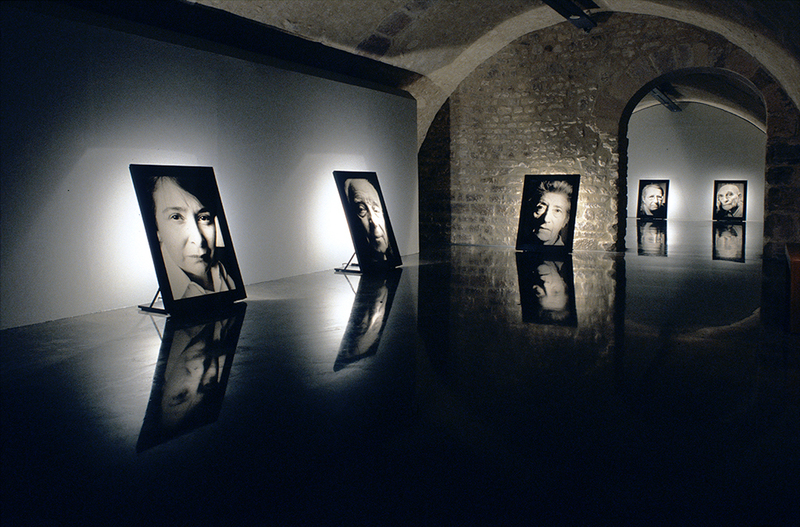 Visages is the the first in a series of works created by Edward Hillel between 1990 and 2000 which explore 20th century European history, the Holocaust and collective memory. Using witnesses, personal narratives, objects and archives, each work engages visitors into living memories and their projection into the public discourse of contemporary art. This body of Edward Hillel’s work has been published in several catalogues, and received awards including the German Critics Prize for Visual Art in 2000. Photographs, 4–channel ambience sound, wood, metal, plexiglass, lightbulbs, audio transmitters, headphones.